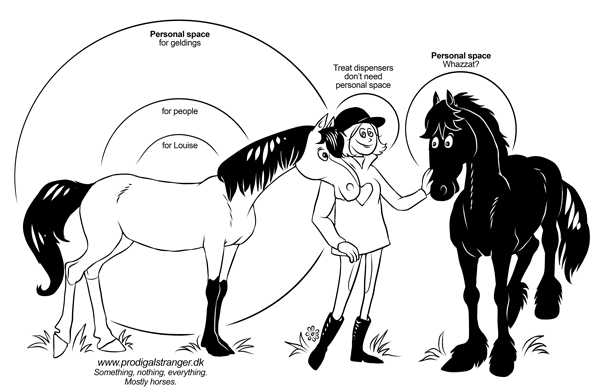 Have you ever noticed how different horses — and for that matter, different people — have different needs for personal space? The ‘bubble’ around us grows and diminishes in size depending on who we are, and whom and what we are dealing with. Grandezza’s personal space requirement for her people, Louise, Cecilie, and Käthe is very small: She trusts and likes them. 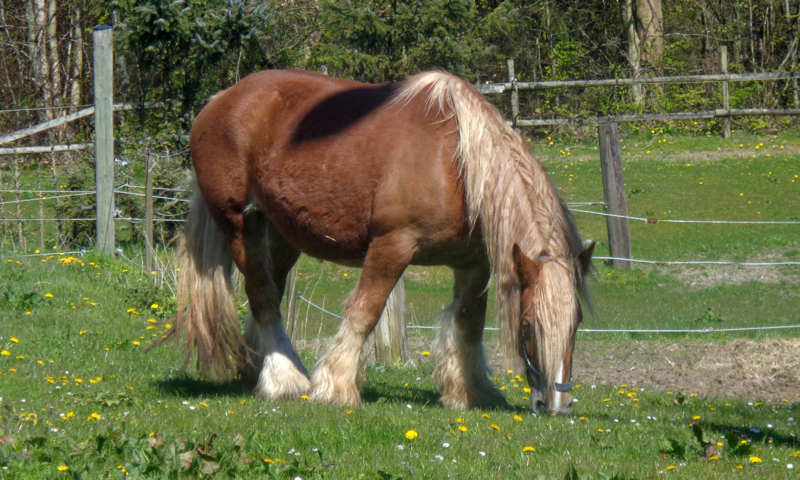 Her bubble becomes a bit larger for strangers — she’s a friendly and polite horse, but please, don’t be all over her. Wine and dine her first or something. And if you’re a gelding, you should be on Mars. Pilar’s personal bubble is pretty much non-existent. She lets anyone into her personal space unless they want to trim her feet. At that point she dances and squeals like a teenage girl in a tickle battle. Grandezza, with the greater need for personal space, will politely inquire whether it’s okay to frisk you for treats before doing so. Pilar, who has no clue about this, will stomp right in and get to work. Grandezza is polite. Pilar is… Pilar. Horses and people are a lot alike in this respect. I find that one should respect a personal bubble, whether it’s inhabited by a human or an equine. Working with either will be so much easier if they don’t feel that you’re all over them, hands everywhere, being entirely too pushy. Previous PostPrevious Mind Yer Noggin!